A 480 square foot tiny home in Visitacion Valley, an ultra-trendy neighborhood in San Francisco, California, is one of the smallest homes ever to be listed in the area. With a price tag of $650,000, it is an affordable piece of real estate for the first-time millennial home buyer, in the country's most overvalued housing market. 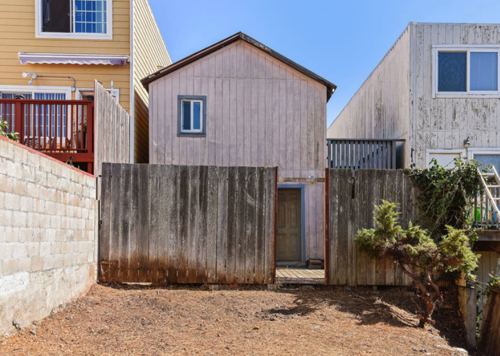 This small Visitacion Valley wooden shack looks similar to a mobile home from the Canadian television series Trailer Park Boys is a real fixer-upper, with the opportunity to remodel and rebuild on much of the 2,500-square-foot-lot. "There aren't many homes in San Francisco listed at this price," listing agent, Linda Ngo of Compass Real Estate, said to SF Gate. "You just have to be willing to put in some elbow grease." Ngo said proposals to expand the property into a 900 square foot home are available from the seller, and with approval from city officials, there is potential to construct a tiny home mansion with space up to 3,500 square feet. "The architect said you could potentially build up to 75% of the lot," she said. 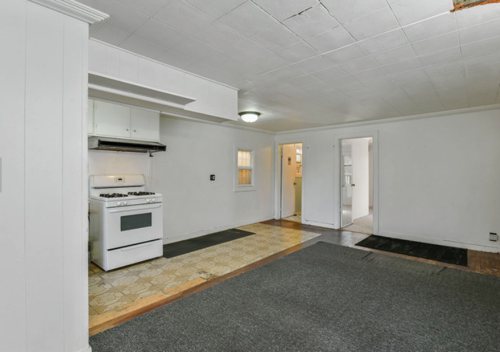 "Right now, the home takes only about a third of the lot. There's so much potential. I checked comps, and there are homes in the area selling for a million." 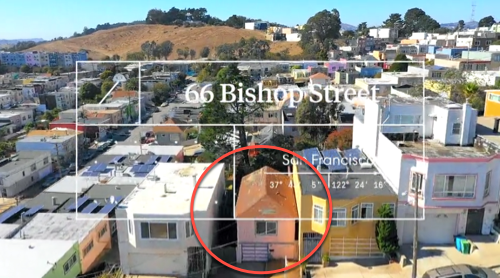 While these type of distressed properties have been quickly acquired by property contractors and developers, and or even millennial first-time buyers, it seems that the San Francisco Bay Area real estate market could be headed for a slowdown. Total sales for the Bay Area dropped 10% compared with August 2017, according to the latest CoreLogic report. Sales did increase 1.8% compared with July, but the total volume was nearly 18% below the August average dating back to 1988 and the lowest since August 2011. Sales activity for the summer, June through August, collapsed to a seven-year low, said CNBC. "Much of the recent slowdown can be attributed to the lack of affordable inventory on the market," said Andrew LePage, a CoreLogic analyst, in a release. "Unlike the frenzied market of the mid-2000s, many struggling to buy today don't have the option to stretch financially with the sort of subprime and other risky financings that fueled a lot of homebuying late in the last cycle." "Real prices in San Francisco climbed 9% since last summer and now exceed their 2006 peak by more than 20%, amid a thriving local economy, significant non-cash earnings by many tech employees, and buoyant foreign demand. The city is approaching high valuation risk," according to a UBS' Global Real Estate Bubble report. CoreLogic shows the median price for all Bay Area homes sold in August was roughly $830,000, up 12.4% annually, which was the highest median price ever. "Waning affordability reflects price hikes and a significant rise in mortgage interest rates this year, LePage said in the report. "While the Bay Area's median sales price rose about 12% year over year in August, the monthly mortgage payment on the median-priced home jumped 21.5% due to a roughly 0.70-percent-point gain in mortgage rates over that period." As a whole, US existing home sales eased in September to the weakest point in three years, a sign that rising prices and mortgage costs are creating difficulties for potential buyers, National Association of Realtors data showed last week. 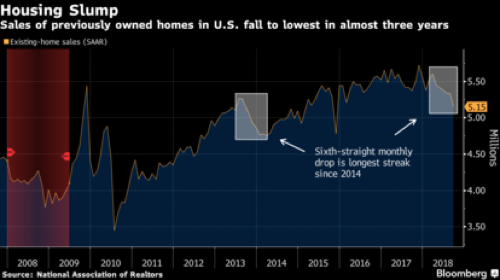 This is the sixth-straight monthly drop in existing sales, the longest streak since 2014, an ominous sign that a turning point in the entire US real estate market could be nearing. 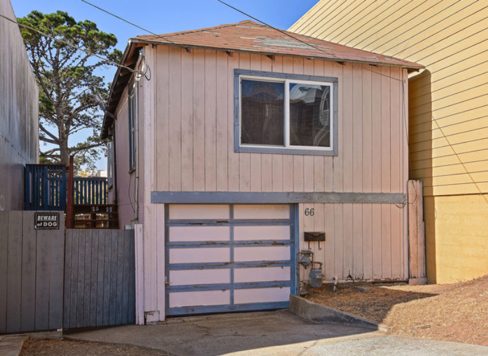 As for the 480 square foot tiny home in Visitacion Valley with a listing price of $650,000, well, it is a sign that the affordability crisis has peaked the housing market. Please do not take out word for it. 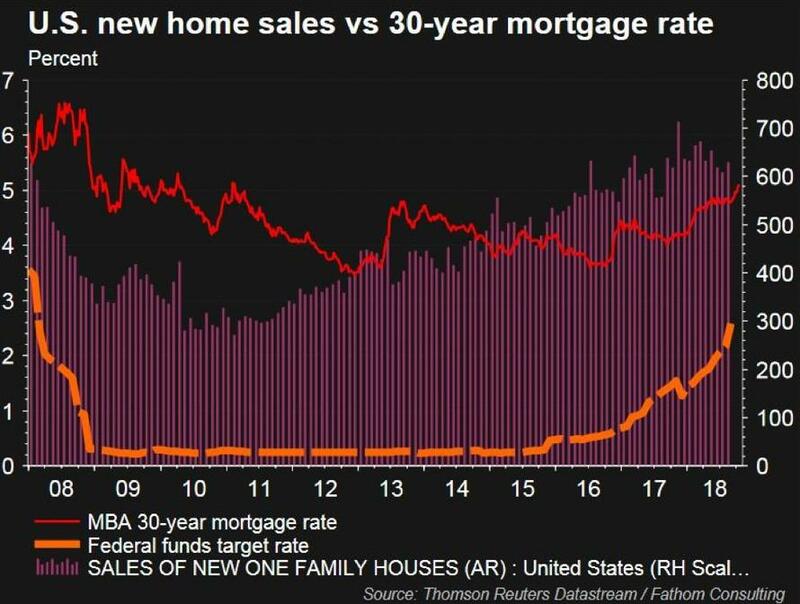 Last month: BofA chief economist Michelle Meyer warned: "The Peak In-Home Sales Has Been Reached; Housing No longer A Tailwind."